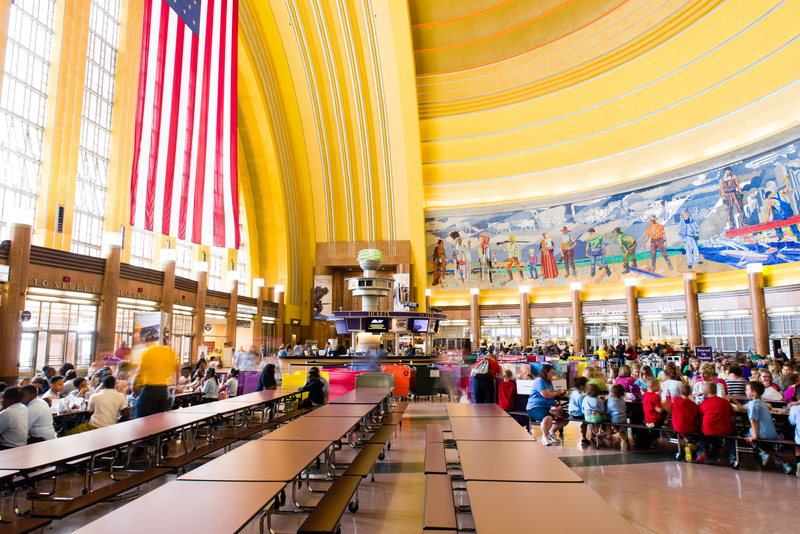 The Greater Cincinnati Foundation’s 2014 Annual Report cover features Union Terminal. As the new face here at The Greater Cincinnati Foundation, I’ve been busy learning all about the meaningful connections GCF makes in the community. The spirit of giving in the Tristate is legendary, and we are proud of the part we play. By partnering with many in our community, GCF granted more than $77 million to nonprofits in 2014. You may be surprised at the many things GCF has had a hand in, thanks to our generous donors. In taking this job, I’m excited by GCF being the region’s leading convener. By partnering with many organizations and community leaders, GCF has helped to develop a shared vision of community change, save two local icons, support big ideas, inspire the next generation of philanthropists, improve racial equity, and connect many interested donors to causes they care about. GCF is often there, providing support behind-the-scenes. Another important role for us is building the nonprofit capacity in our region. We do this in many ways – through grantmaking, impact investing, and support to nonprofits. Our nonprofits are top-notch in Greater Cincinnati, providing for the good of our community in countless ways. I personally subscribe to the values of servant leadership, where the needs of others are put first. That’s why I love the story of the women leaders of the Fresh Air Society, who realized their mission to provide tenement families a respite in the country was obsolete. They went on to partner with the local banking community to start The Greater Cincinnati Foundation in 1963. I look forward to partnering with you, as I begin my journey here at The Greater Cincinnati Foundation. Ellen M. Katz is the CEO/President of The Greater Cincinnati Foundation.